Some more photos from our week in Maui. 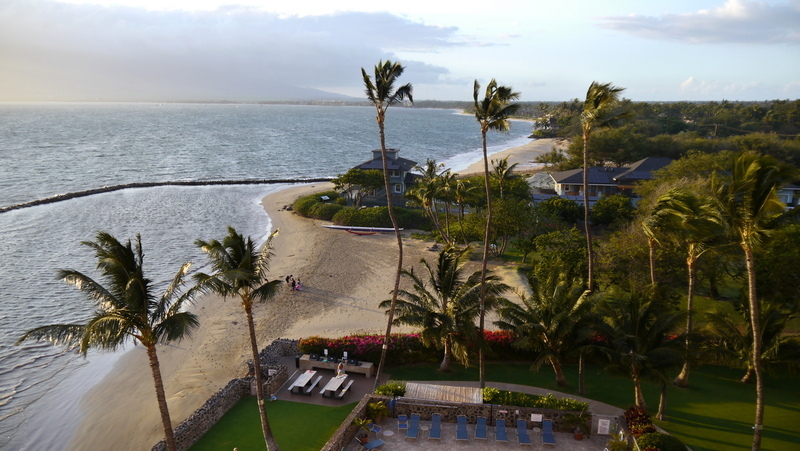 View from our condo’s lanai (balcony) in Kihei on the south side of Maui. This is on the northern end of town looking south. From the deck on the building’s roof looking north towards the neck of Maui. Tawn watches the sunset from the beautifully manicured lawn. Sunset over the west part of Maui on our second evening there. You can just see the windmills that line the ridge of the mountain. This entry was posted in Uncategorized and tagged Hawaii, Kihei, Maui by christao408. Bookmark the permalink. That photo with Tawn and lawn chairs has nice colour contrasts! “Maui no ka oe”! What an excellent place for a wind farm! Wow! Perfect place for a vacation! Of all the islands. Maui is my favorite! Really beautiful scenery and so clean. I thought it was a golf course, but you mentioned it was just their lawn! Whoa! Beautiful! So missing Maui right now. Seems like everything is so majestic! Once more, regrets at not having felt the breezes of Maui, alas. Oh that looks so relaxing. Is it expensive to rent a place by the beach? @CurryPuffy – Glad you liked it Gary. @ElusiveWords – Surprisingly, the condos were quite reasonable, cheaper than on Kauai. For a 2 bed/2 bath we paid about $180 per night including fees. Really a decent price, once split between the two couples. @Inciteful – @murisopsis – I wish you could have a chance to experience it. It is every bit as nice as you would expect. @ungrandvoyage – Thanks Andy. 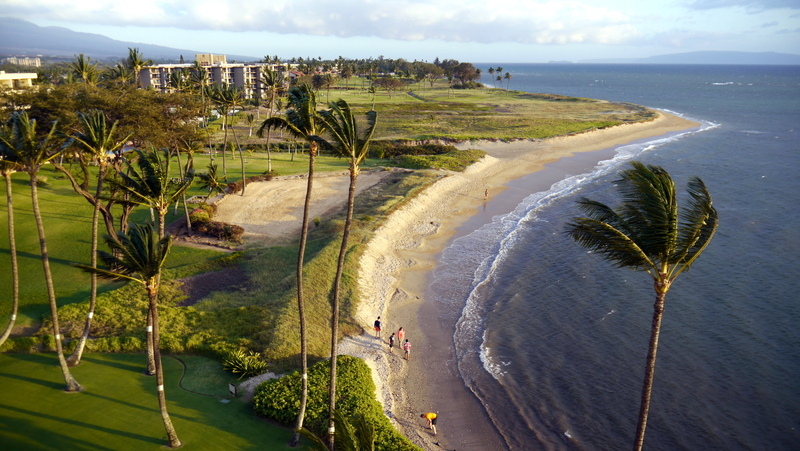 @UncCharlie – Maui’s beauty is hard to overstate. @alextebow – @Fatcat723 – Yeah, I’m having withdrawal. @stepaside_loser – @beowulf222 – When I first saw the lawn, I doubted whether it was real. @icapillas – And for a wedding! 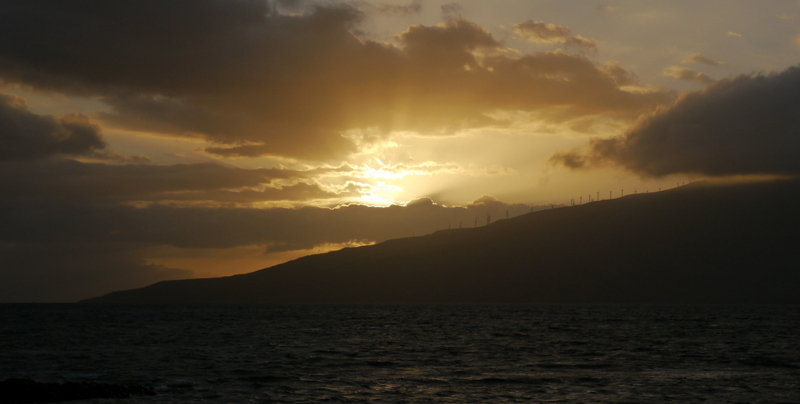 @slmret – They could have lined the entire neck of Maui with windmills, it was so windy! @oxyGENE_08 – Seems like they are getting a little looser but still a pain in the neck to get a visa. @rudyhou – Yes, I am allowed!